Piggy-backing on my post the other day about electric bicycles (focused on the fact that you can buy an electric bicycle for about the same money as it costs to fill up your gas tank 20 times), here’s more electric bicycle news: annual sales of electric bikes are expected to go over 30 million in 2012 and over 47 million by 2018. China is where most of the growth is projected to occur, due to its rapid urbanization, demand for low-cost transportation, and a historical affinity to bikes, I presume. The Chinese are expected to be buying 42 million of the projected 47 million or so e-bicycles that that will be sold in 2018, 89% of the total world market. Of course, the report is based on assumptions, and sales under a more optimistic scenario are even higher. Under the most aggressive forecast, sales will reach 51 million bicycles and $13.2 billion in annual revenue by 2018. While China is going to continue to lead growth in the sector, the North American e-bicycle market is also expected to grow. The vast majority of the e-bicycles sold in China, the world’s largest market, utilize sealed lead acid (SLA) batteries. 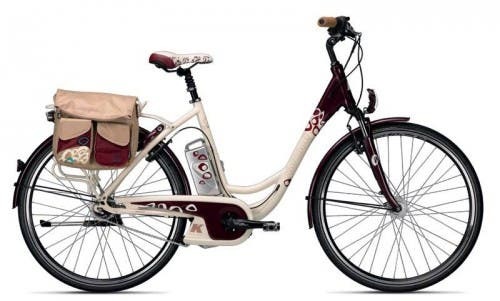 While this has resulted in extremely low-cost e-bicycles in China, it has also led to a number of challenges including e-bicycle traffic congestion, lead contamination, and manufacturers effectively ignoring laws relating to e-bicycles speed and weight limits. Pike Research anticipates that the global penetration of lithium ion (Li-ion) batteries will grow from 6% in 2012 to 12% in 2018. Cost pressures from Asia Pacific will keep manufacturers interested in SLA batteries through this decade, but once manufacturing efficiencies have driven down the costs of Li-ion, we will start to see the decline of SLA as the battery of choice in e-bicycles. Pike Research’s report, “Electric Bicycles”, provides a comprehensive analysis of the worldwide e-bicycle and e-bicycle battery industry including an examination of market forces, technology issues, government policy influences, the competitive landscape, and key drivers of growth. The study includes global forecasts for e-bicycle units and e-bicycle batteries through 2017, segmented by world region and key countries.